Feelin' fierce? Get all eyes on you with our serious selection of red dresses! It's the sizzling shade that's NEVER out of fashion. Whether you opt for a flirty floral number or a figure-hugging bodycon, you're sure to feel RED-HOT in these stunning scarlett garms. 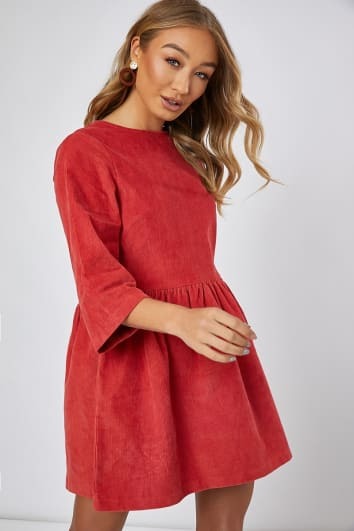 We've got regal red dresses perfect for the wedding of the year, and cosy knitted numbers for those chilled out casual-chic days. Be bold AF and opt for a red lip for full-on lady in red vibes!